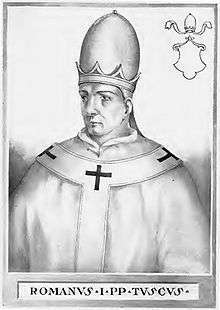 Pope Romanus (died November 897) was Pope from August to November 897. He was the supposed nephew of Pope Marinus I. Romanus, whose personal name is unknown, was born in Gallese, Italy near Civita Castellana. Romanus was son of Constantine. He was installed as the cardinal of St. Peter ad Vincula prior to his election to the papacy. 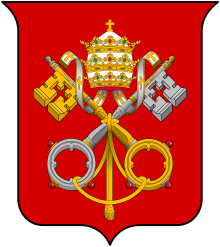 During his short reign, he granted the Farfa Abbey Abbot Vitalis the pallium (a vestment in the Catholic Church), and appointed Vitalis as the patriarch of Grado. Romanus also confirmed the possessions of the Spanish bishops of Gerona and Elna of their sees. He was elected to succeed the murdered Pope Stephen VI during a period when the papacy was fought over by various Italian factions. Pope Stephen VI was murdered after exhuming Pope Formosus's corpse for the posthumous Cadaver Synod, in which, Stephen VI put charges to Formosus' "propped up" body. Like many popes of the era, Romanus annulled all the acts and decrees of his predecessor. His short rule was regarded as a virtuous one by contemporary historian Flodoard, but 15th-century historian Bartolomeo Platina scorned him for continuing the practice of annulling the acts and decrees of his predecessor. Romanus died in November 897 of an unknown cause, however it is believed that he could have been deposed by supporters of his predecessor Pope Stephen VI, who was of an opposing faction. This belief is due to the description that "he was made a monk" and served as one towards the end of his life was used at the time to describe deposition. ↑ Anura Guruge (16 Feb 2010). The Next Pope (illustrated ed.). p. 88. ISBN 9780615353722. 1 2 Herbermann, Charles, ed. (1913). 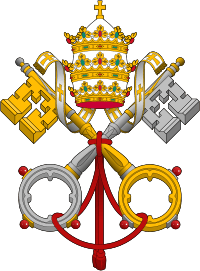 "Pope Romanus". Catholic Encyclopedia. New York: Robert Appleton Company. 1 2 "Romanus". New Advent. Retrieved 3 August 2015. 1 2 "Romanus". Encyclopedia Britannica. Retrieved 3 August 2015. This article incorporates text from a publication now in the public domain: Herbermann, Charles, ed. (1913). 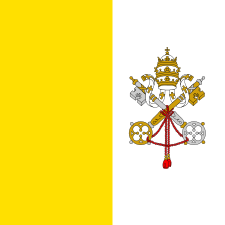 "Pope Romanus". Catholic Encyclopedia. New York: Robert Appleton.